After deciding to have a baby, most couples want to get pregnant quickly. They may see building a family as a key part of their future. But when it doesn’t happen within just a few months of trying to conceive (TTC), disappointment can begin to set in. There are a number of factors that can make getting pregnant more difficult, including age, lifestyle and health issues. Understanding health issues can help you determine if you’re at risk, or understand your treatment options. Here are some common fertility issues that women may see. Endometriosis: Anywhere from 25 to 50 percent of women who cannot conceive have endometriosis. Endometriosis is a condition where cells that normally line the uterus grow outside the uterus—most often in the abdomen. Scientists don’t know exactly what causes infertility in women with endometriosis, but they believe that the inflammation caused by endometriosis may prevent the egg from attaching to the lining of the uterus or moving through the reproductive system. Polycystic Ovary Syndrome: Polycystic Ovary Syndrome (PCOS) is a disorder seen in some women who do not ovulate monthly. Women with PCOS have higher-than-normal levels of hormones called androgens which may prevent an egg from developing and releasing normally. Researchers don’t know exactly what causes PCOS, but it may be a genetic issue. Primary Ovarian Insufficiency: Primary ovarian insufficiency, also called premature ovarian failure (POF), is when the ovaries stop producing eggs before the age of 40. Often, women with POF don’t have regular menstrual cycles or no menstrual cycle at all. While the cause is unknown in most cases, research suggests that certain factors play a role. “About 10 to 20 percent of women with POF have some family history of it. Other women affected by POF have some genetic conditions which put them at higher risk,” says Dr. Gell. Uterine fibroid tumors: Uterine fibroid tumors are benign (noncancerous) masses that form from the muscle of the uterus and could change the size of the uterus or the position of the cervix, block the fallopian tubes or affect blood flow to the uterus. The size and number of fibroids determine which treatment option may be the best. Fallopian tube damage: The fallopian tubes are the site where sperm and egg meet and then carry the early embryo to the uterus. When the fallopian tubes are damaged, they can prevent the embryo from reaching its destination. This type of damage is sometimes a result of pelvic inflammatory disease, which is an infection of the reproductive organs from sexually transmitted diseases like chlamydia or gonorrhea. Uterine fibroids and endometriosis can also lead to problems with the fallopian tubes. 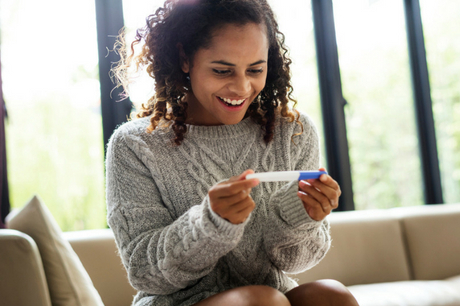 Regardless of what is making getting pregnant more difficult, many couples find success with infertility treatment. Jennifer Gell, MD, is an obstetrician/gynecologist and reproductive endocrinologist with Geisinger Women’s Health in Wilkes-Barre. To schedule an appointment with Dr. Gell, please call 570-808-7916 or visit Geisinger.org. 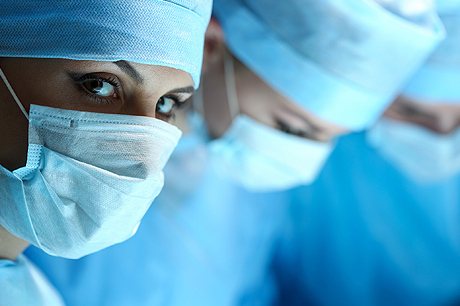 Treating endometriosis: When is surgery necessary?